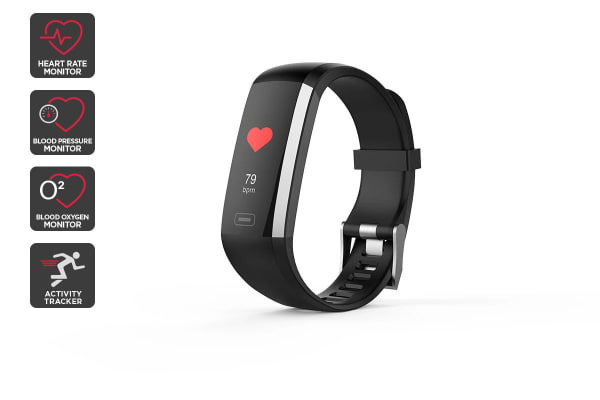 Never miss a beat with this slim heart rate wristband that tracks your activity, measures blood pressure and oxygen levels, tracks personal bests, quality of sleep and sends you reminders to move when you’ve been sedentary for too long. 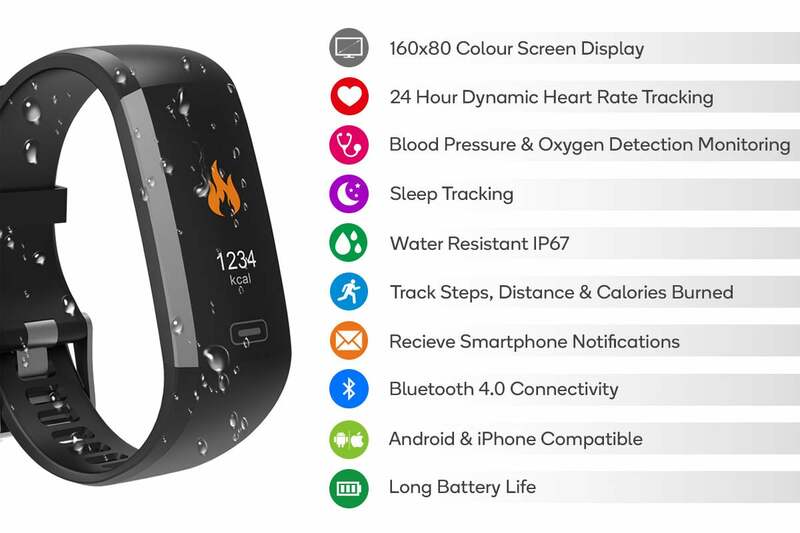 Water resistant IP67 so you can keep track rain or shine! The Kogan Pulse+ Wellbeing Tracker motivates you to reach your health goals in style with a heart rate monitor to optimise your workouts and sleep tracker to gain insight into your nighttime habits. 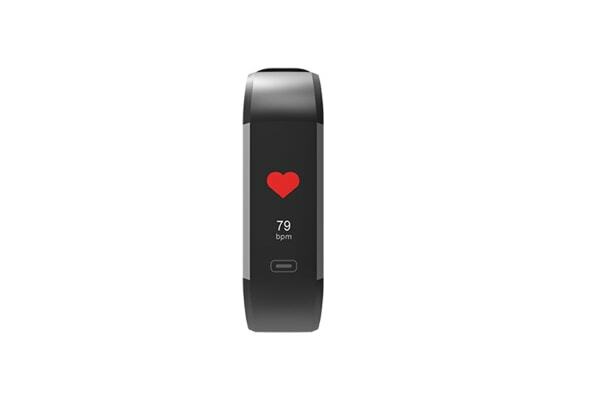 Push through tough workouts with this all-day activity tracker keeping check of how many calories you burn, steps taken and distance covered. Plus you’ll get alerts for incoming calls/messages, preset alarms and friendly reminders to move when your phone is connected – you can even use ‘find my phone’ if you’ve misplaced it! Measuring your heart rate, blood pressure and oxygen levels during workouts can help you find the right intensity and see whether you need to amp it up or dial back. Resting heart rate can also help to indicate changes to your cardio health, so you can track your progress over time with the free LinkSelf app. The Kogan Pulse+ Wellbeing Tracker monitors your time spent in light, deep and REM sleep, so you can amend your sleeping habits to get a better night’s rest. Does everything I needed it to do and is easy to use.